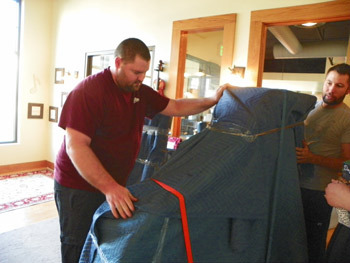 "M&R movers were excellent!! Friendly fun and fast. Did my whole move in 3 hours! I’m extremely pleased with their services. And at a very reasonab..."
"GREAT JOB AND AND THE RIGHT PRICE! MOVED A MOTORCYCLE FOR MY BUSINESS TO PORT IN FLORIDA, VERY WELL CARED FOR. 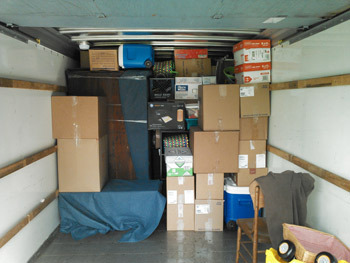 WOULD RECOMMEND WITHOUT QUESTION...."
"This was our first long distance moving experience. We really had no idea what to expect and felt overwhelmed (as most people do when moving). 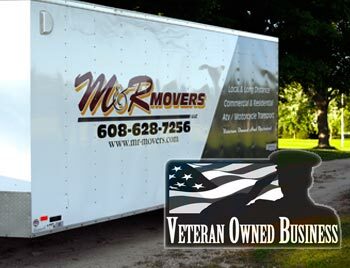 When I ..."
M&R Movers LLC is locally owned and operated in Edgerton, Wisconsin and has been in business since 2006. We started our business with a goal of providing expert, affordable moves to the local community and surrounding areas. Our services include moving labor and transportation. We also offer boxes and shipping services of household goods nationwide. Need your ATV/Motorcycle or large object/furniture transported or delivered? We do that also! 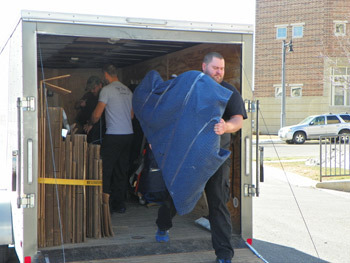 M & R Movers serves Madison, Janesville, Beaver Dam, Watertown, Sun Prairie, Marshall, De Forest, Windsor, Beloit, Milwaukee, Johnson Creek, as well as the entire state of Wisconsin, Northern Illinois, and Eastern Iowa. Our services include packing, moving labor and transportation. We also offer boxes and shipping services of household goods nationwide. Need your ATV/Motorcycle or large object/furniture transported or delivered? We do that also! "These guys were professional! They were on time & so pleasant. They took their time wrapping my large furniture & moving it down 15 stairs! It was ..."
"Ryan and his partner were very quick and efficient. They safely disassembled and reassembled everything once completing the move. Very nice guy and ve..."
I read such excellent feedback about M&R Movers on this site ( which also does s great job) Byron and Sean were awesome!!! Called ahead, very careful and helpful - they were wonderful! I highly recommend M&R Movers to anyone. The fact that they are expert at moving grand pianos puts them in a class above - very skilled - and such friendly personalities. 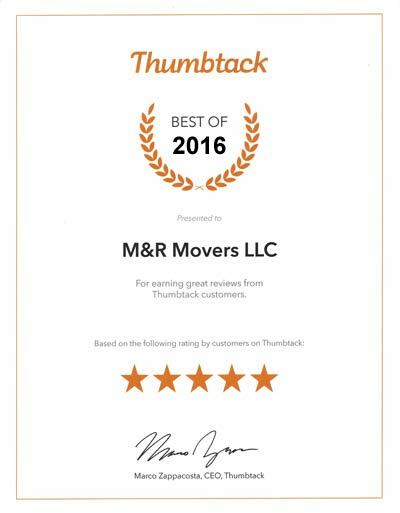 I highly recommend M & R Movers to anyone with a small or large move. 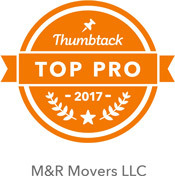 Our award winning service is the reason you can depend on M & R Movers with your most valuable possessions, whether you're moving across the country or across the street. We love what we do and work hard to give you the best service possible. 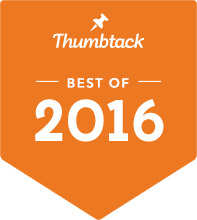 For three years in a row, we're proud to have earned 'Thumbtack's Best Of...' awards - which is in no small part to our outstanding customers and their terrific reviews of our service. In recognition, in 2017 we've just been name the Top Pro of 2017!